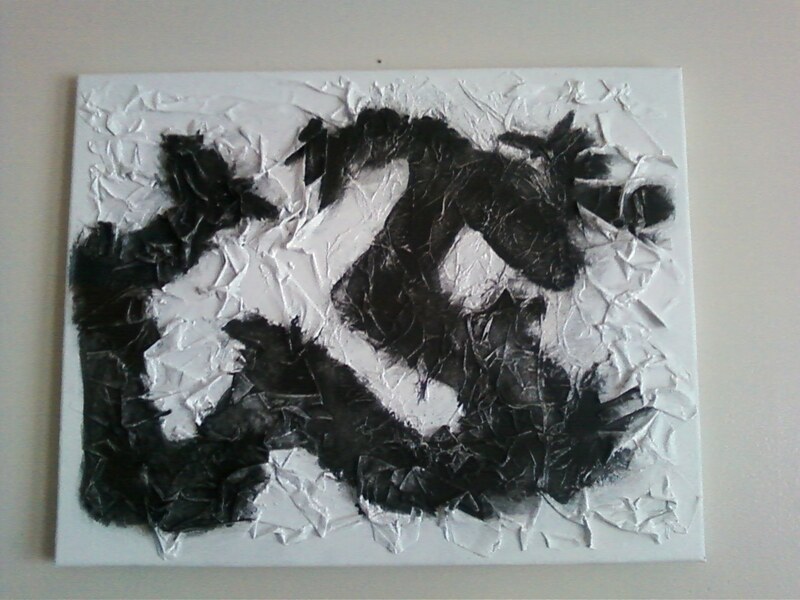 Last month, I got inspire to make a black and white painting. It is called shadow dragon. I wanted to do shadows on the white painting but something came alive on the canvas so I decide to see what came out of it. It turn into a water dragon. The head on the right side with ears and the tail is at the left side. I use paper to give it a texture style. I seem to like to touch my art after it drys. I guess its the kid in me wanting a hand on approach to art. After I spend a week doing this one, I made two more. 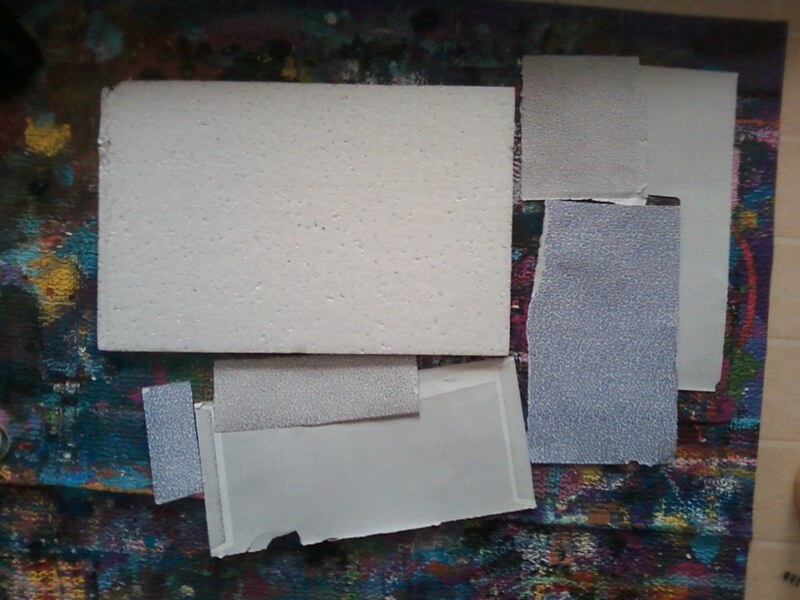 Materials I used: foam, used business envelopes, glue, plastic card, brushes, acrylic paints, bubble wrap or stamp. 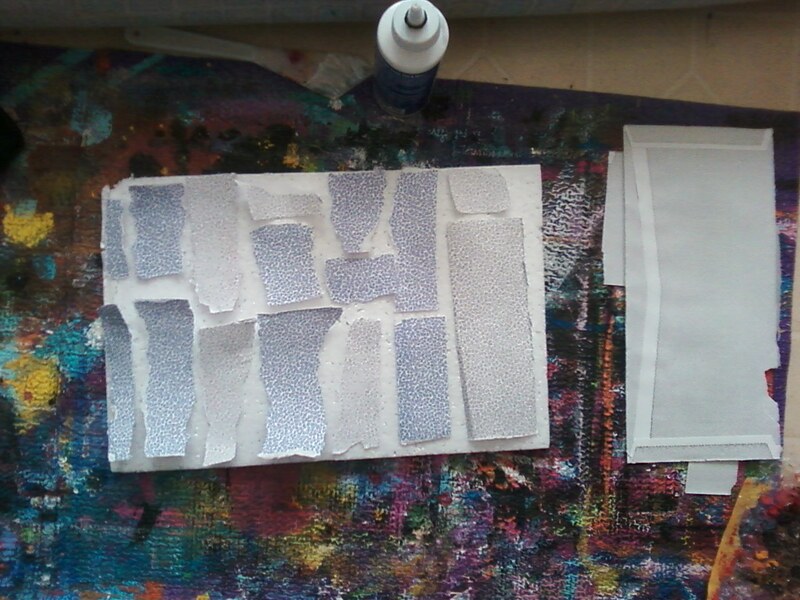 I use paper on my project because the paper absorbs the paint better and faster. You don’t have to use foam for this project you can use cardboard or poster. 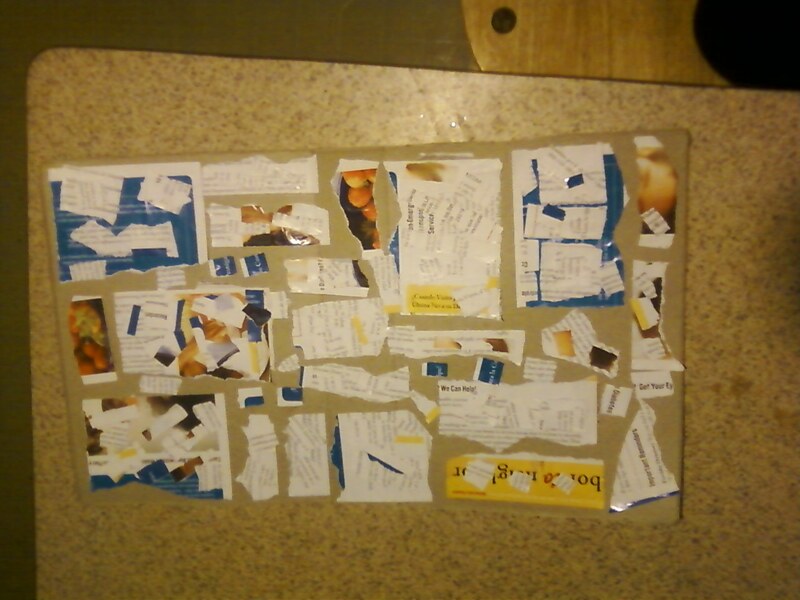 I took envelopes and tear into pieces and range on the foam before gluing it. I used the envelopes with design on the inside of them. I cut off the windows and decide to not use it for this project. 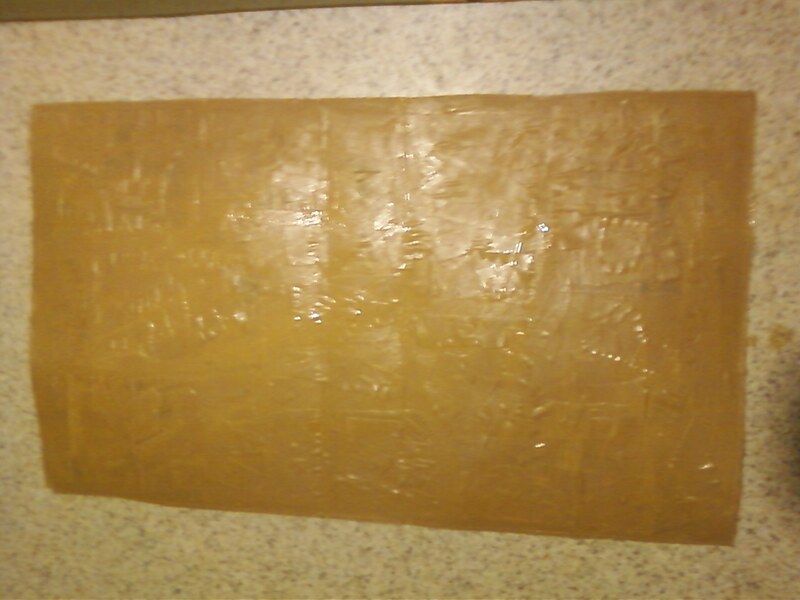 Let it dry before apply any color on it and remember to press down on the paper when you gluing to the cardboard. If you don’t have used envelopes, you can use ads, plain paper, new envelopes, tissue paper, receipts, and etc. With the ads paper, you can use white paint to hide the colors if you don’t want it in your art but its nice to use as a background effect. 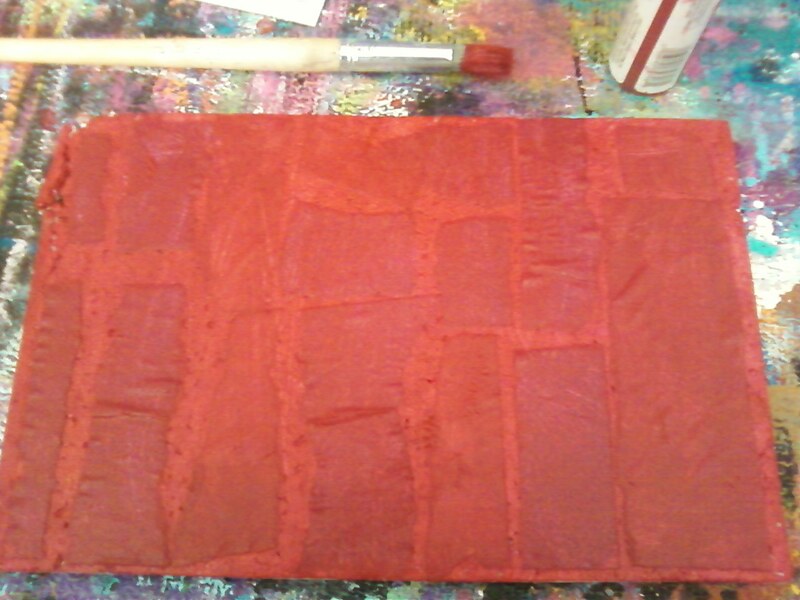 Then I pick a background color and squeeze onto the foam with a brush spread the color. I made sure to cover it completely the paper and foam with the burgundy color. 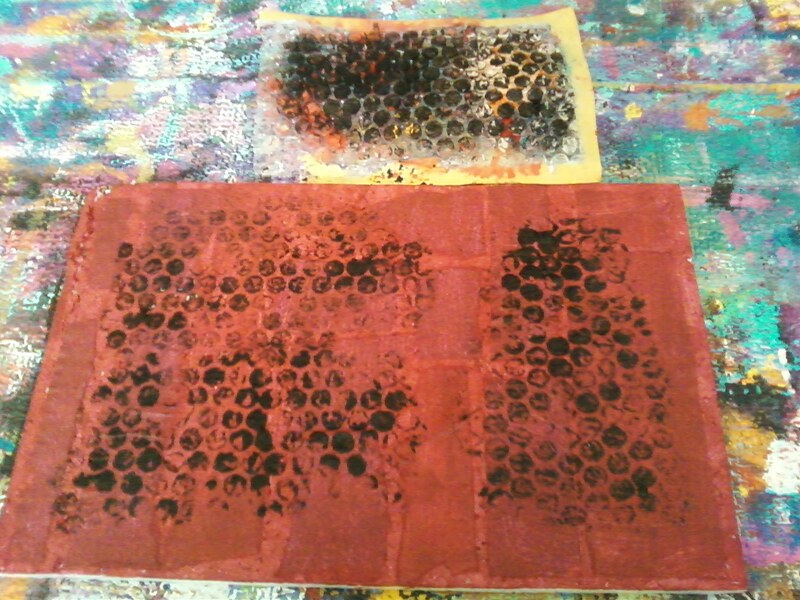 After it dry, I used bubble wrap with the color black to stamp it where I want it to go. 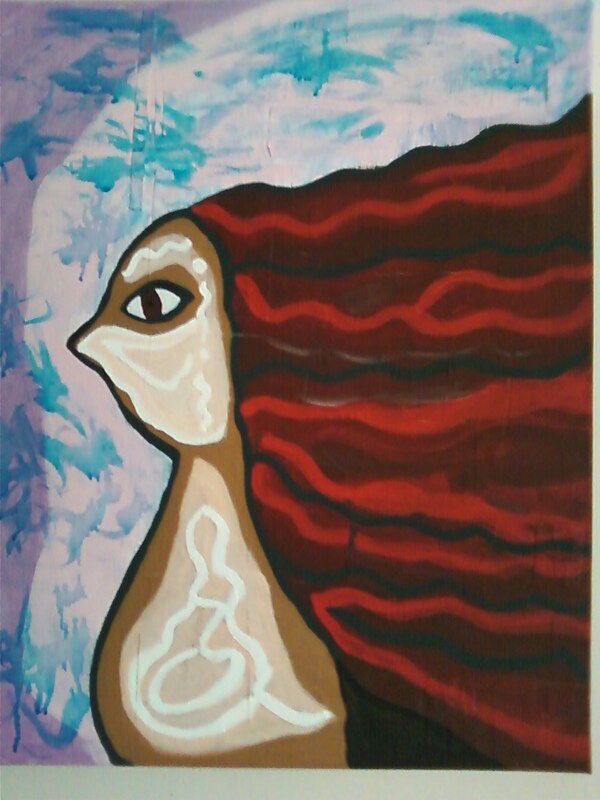 I let it dry. Then I used plastic card with lagoon blue and swap it on the sides. 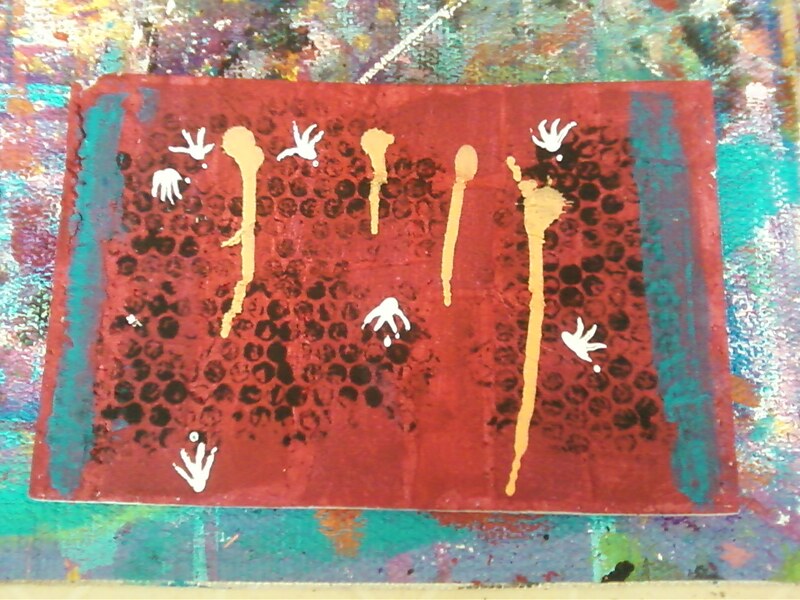 I drip dot paint (tiger lily) on certain places and I stand it up to drip down. 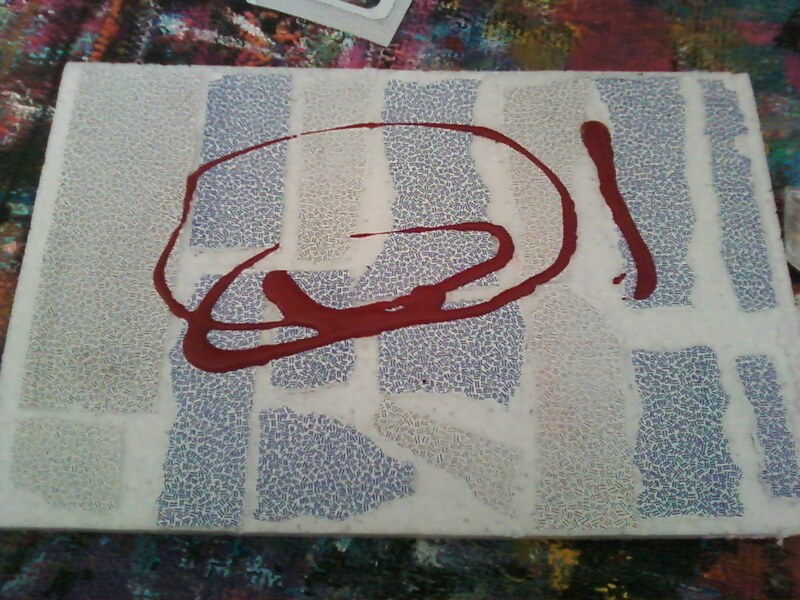 I used another paint (white) like dots on and use a pencil to move the paint in certain direction. Lastly, I used paper towel cardboard part and stamp in lime green as well as lily pad green with the cap stamp in the middle of it. And that it. You can’t tell it foam until you pick it up and feel it. It sturdy and hard after it. I should get a frame for it to put it up. I hope you enjoy my tutorials of junk art. 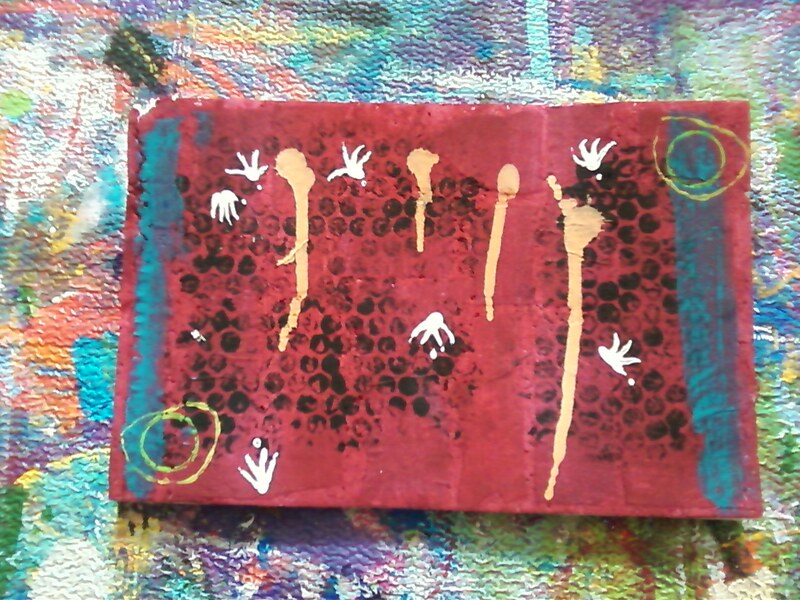 The next one probably be a art journal, art card, tag art, or something. I have too many ideas that I haven’t decide which one to do next. 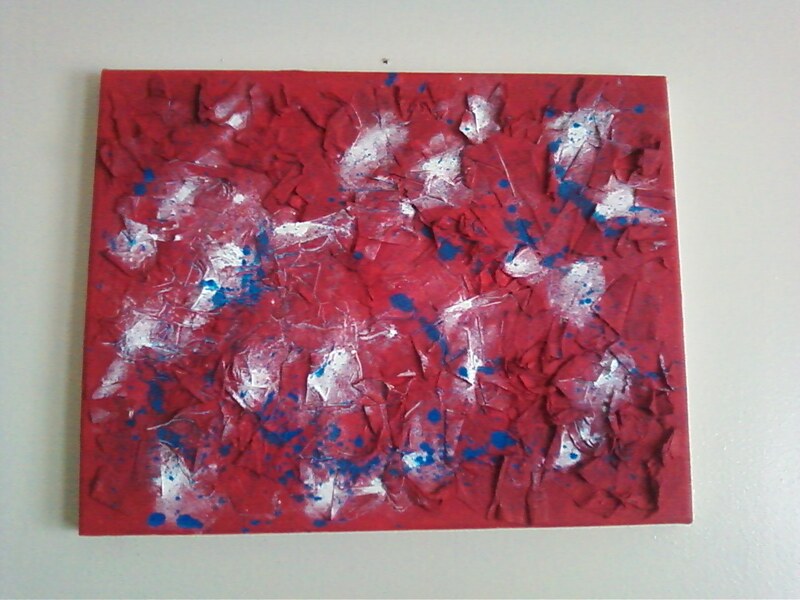 I love texture behind the color not so thick but enough to see it with the background paint. It looks like you create it with the paint. I waited for it to dry before I started color it in so this give me time to look through the colors I want to use and the tools that will give the effect I want. I used the colors caramel candy as the background color and cover the whole thing. 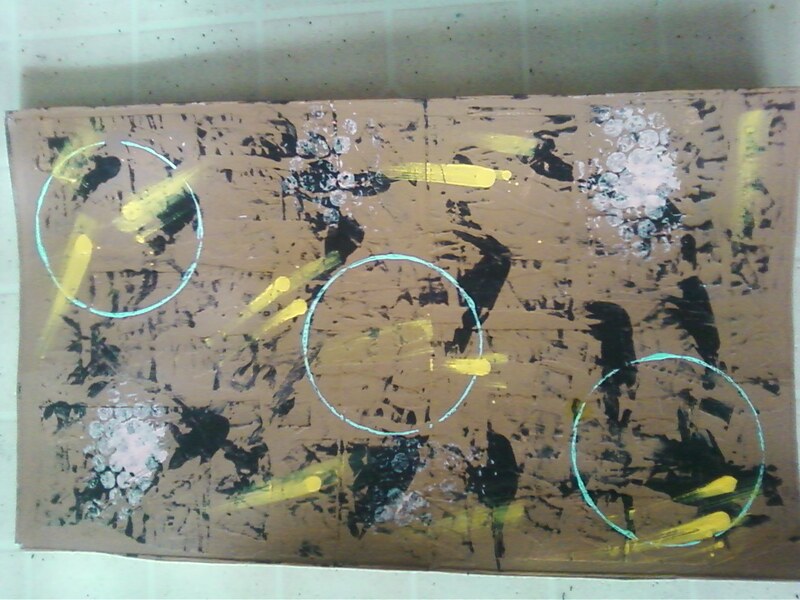 Then the items I used was a big can, plastic card, bubble wrap, and the colors black, coral, robin’s egg blue and cadmium yellow. 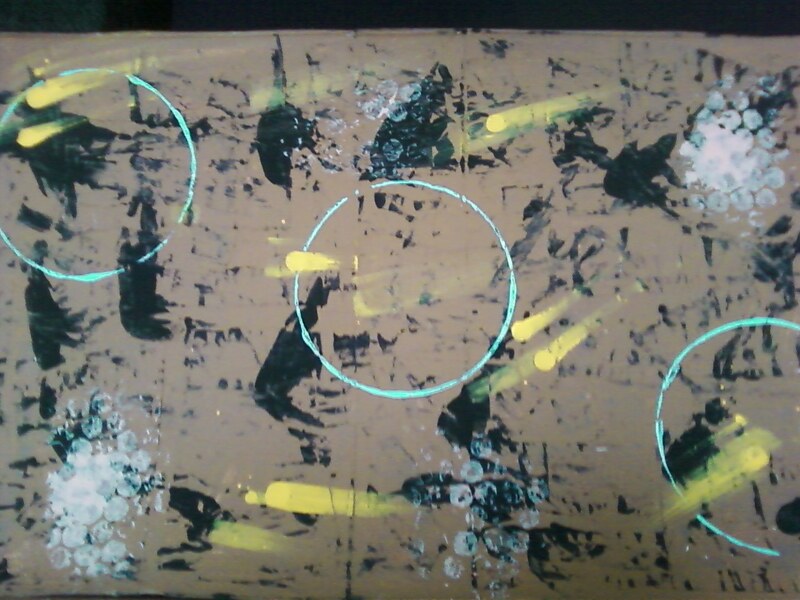 I started first with the plastic card and the color black to smeared it across the cardboard in rows. I try not to put too much black on it. 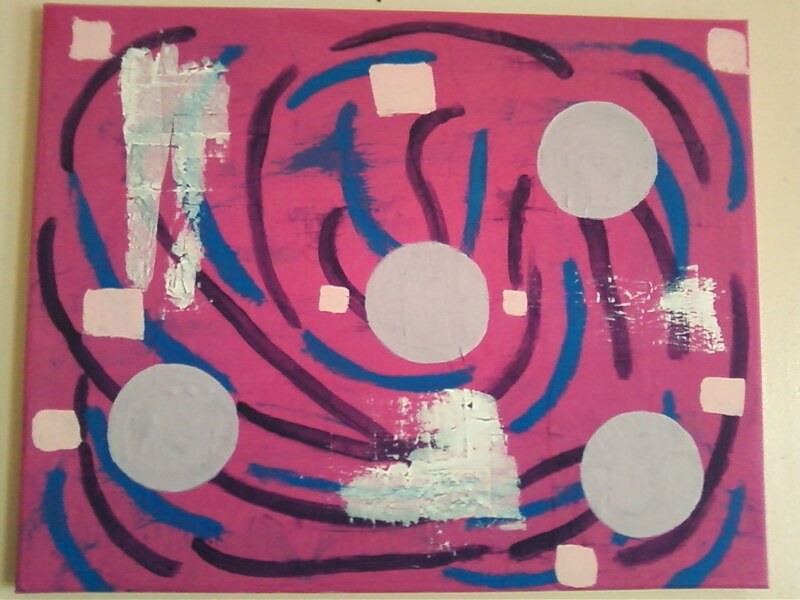 I let it dry and went for the big can with blue on the rim to make big circle at an angle. 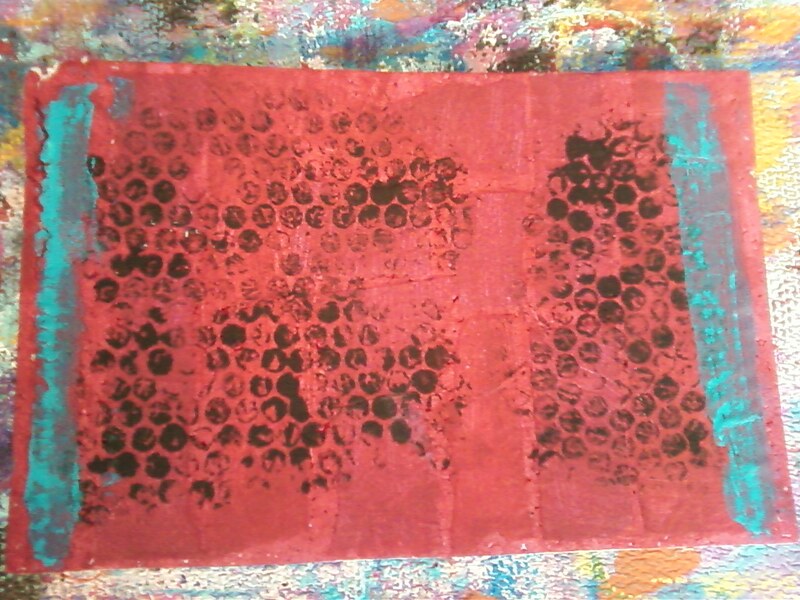 I took the bubble wrap and coral put paint on it and stamp it on the cardboard on certain places. 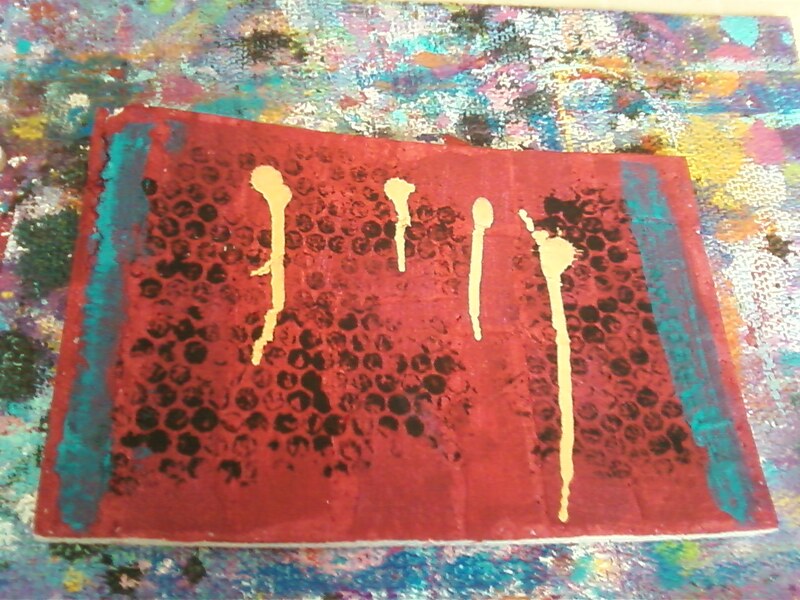 Lastly I use cadmium yellow as my drip paint by just putting dots on certain spots let it dry a bit then I used the plastic card to spread in one direction. Pretty easy as long as you let it dry before going to next part. I was impress how it turn out. I guess this is my four time trying this technique this week and each time it came out different. I am excite to be doing this project and I hope you try for yourself. 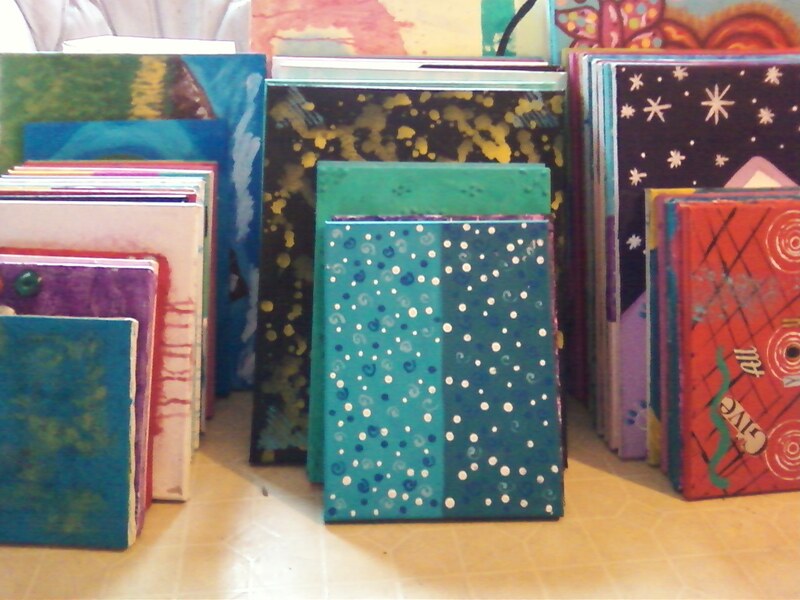 Instead a cardboard you can use it your art journal. This is how I got the ideas from it. It just a matter of trying and doing it more than once. Next week I’ll do it again but with a foam board with more pictures for you to see. I trying to learn to slow down and take many pictures to show you how I do it. 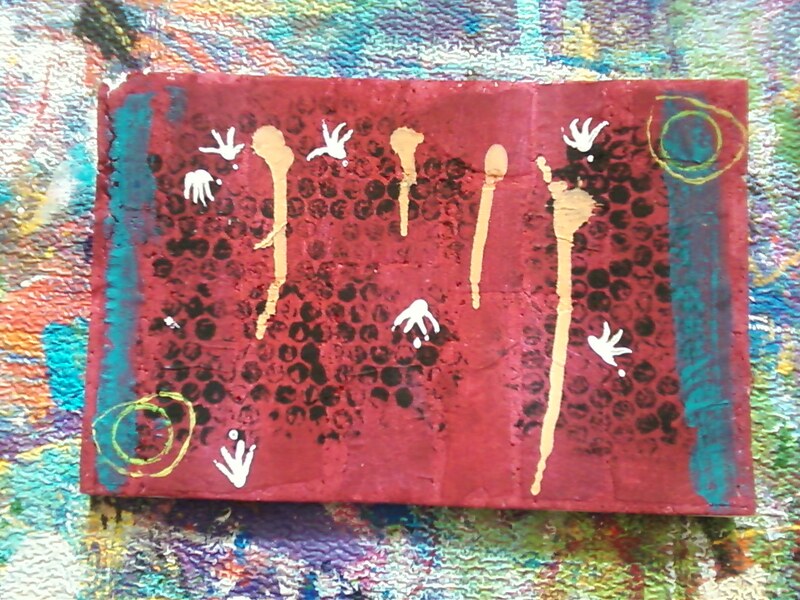 I also still be posting my art journal pages.